Namste Dear brothers, sisters and friends! You all know me from our cultural mission Gurukripa, Chaitanyapuja and Vicharyadnya. Today is 1-11-11…all 1. I always like no. 1. This number is the symbol of success. So by Gurukripa means blessings of my Sadgurudeva and Lord Shrikrishna starting this new photo blog on this 1-11-11 memorable day. Lord Krishna is attracting and making us mad by His Divine Magic, His fascination, His Mohinee, from ages. I had some names in my mind, like Beautiful world, my photography, Mohinee, but only one name includes all the meanings and it is KRISHNA-MOHINEE. I will try to upload videos too. Please feel free to give your suggestions and please wish me luck……I have to learn lot more in this field, so please keep me guiding. My inspiration is my dear friend Artiji who shares wonderful pics at her blog My Yatra Diary and Deepak Sir who shares magical photos at Mumbai Daily. 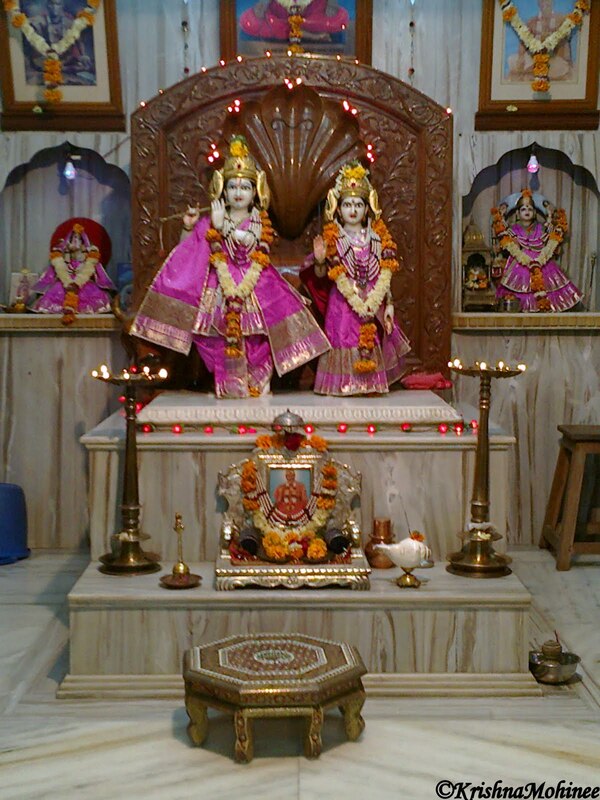 I am sharing first photos of Radha Krishna from RadhaKrishna Temple Dhule. 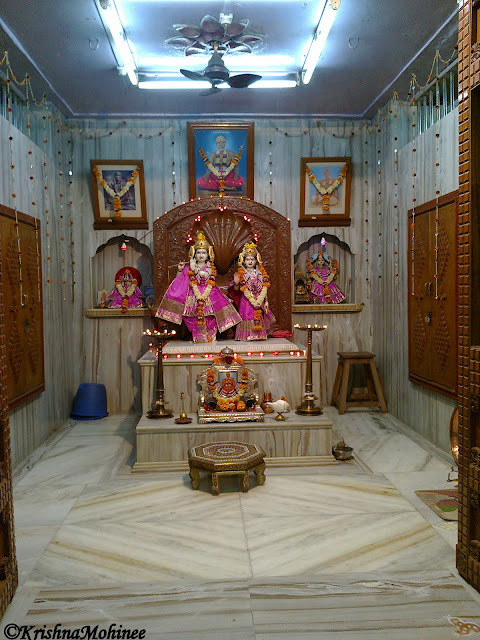 The temple is decorated for Deepawali festival and Annakut Festival. This post is dedicated to my beloved friend Portia Burton who loves Radha and Krishna a lot. Hearty congratulation for starting the new wonderful blog. I like the name very much;the prefect name " Krishna Mohinee"
Also first photographs are very very beautiful. Dada, your wishes are future success of mohinee! Oh,I am viewing your new blog in a wonderful place called 'Verona', the fabled city of eternal lovers-Romeo and Juliet! It's a beautiful morning here and what more could I wish for than a glimpse of my lover 'KRISHNA'!Oh, many thanks for these superb images! Congratulations for your new venture~Krishna Mohini!Oh, I am viewing your nice blog in the sunny morning of Verona, the fabled city of eternal lovers-Romeo and Juliet, and how lucky I am to get a glimpse of my lover KRISHNA through your blog! MWAH to you and of course to HIM! I am so happy to see you Portia and it's His wish you received this in the beautiful morning, at the place of love.....:). No wonder...as I know His and Your love...:)Mwah.